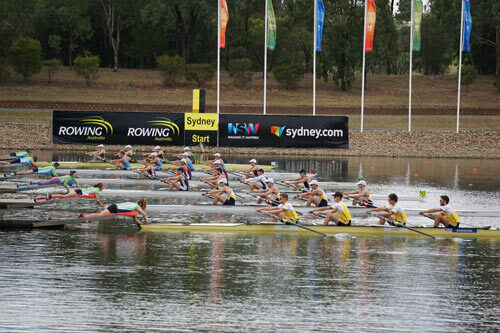 This regatta was conducted in great conditions for most of the week. 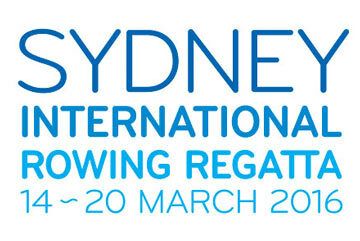 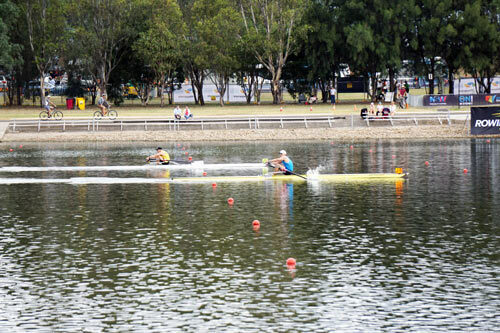 The Olympic team competed in various events but unfortunately some selection activities immediately following the regatta prevented some people from competing in the Victoria Cup. 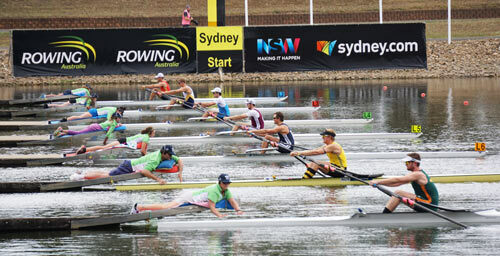 The regatta also saw the introduction of the legs, trunk and arms para-rowing events for the first time. 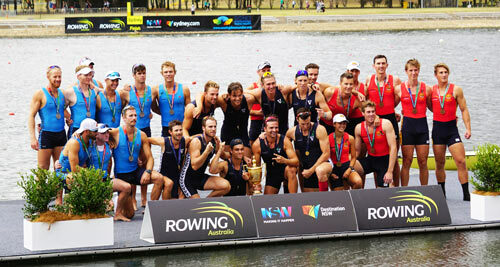 Also the regatta saw the Victorians take out the Queen's Cup for the twelfth time in succession. 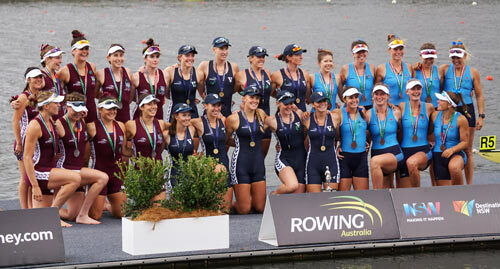 A moving tribute to 2012 Olympic silver medallist Sarah Tait was conducted at the end of the Interstate presentations. 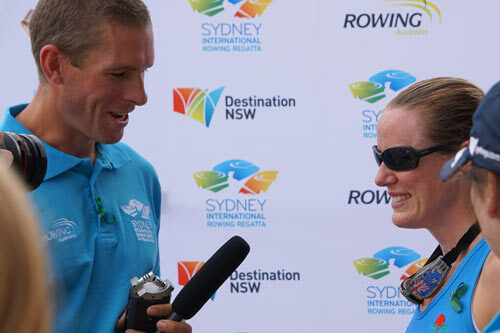 Sarah had recently lost her battle with cancer. 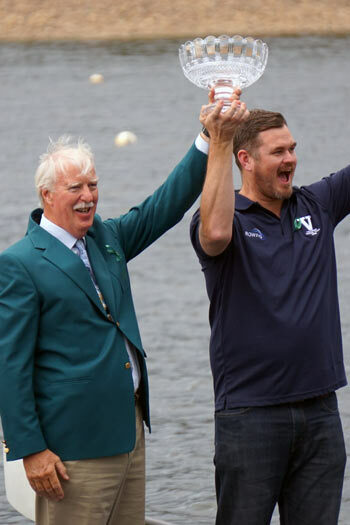 Victorian President Pat McNamara and Victorian Head Coach Bill Tait receive the Rowing Australia Cup. 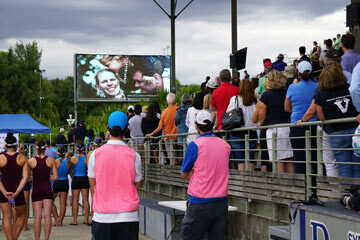 3rd Tasmania - Alistair Chong, Cch: Lance Morrisby.